Pilgrim Team of Professional Realty Associates and Lancaster Home Builders are proud to announce the opening of their newest community known as Ashcombe Farms South. Prices begin in the $170's. It is centrally located near shopping, parks, restuarants and schools. 17 floor plans are available and the builder will customize each plan to accomadate your individual needs. It is a small community consisting of 14 home sites with an average size of just under one-half acre. All utilities are underground as in the other Dover communities that we have built. This is the fifth community The Pilgrim Team and Jerry Pilgrim has been involved in the area over the last 10 years. The other communities we have now completed were Cranbrook Acres, Ashcombe Farms, Ashcombe Farms West in Dover. Shiloh Farms is located in West Manchester Twp. 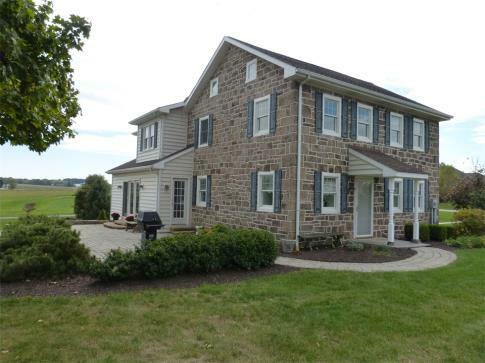 We also have another community that has been quite successful in Dover Township called Fox Run Creek Estates where prices begin in the $160,s. Stop by our model Homes for sale in york pa located in Fox Run Creek Estates located off Cardinal Lane on Fountainhead Drive. We do have have a Sunday open house form 1-3pm. If you would like a private showing call or email us and we will be happy to accommodate you. Home Buyers in Useful Information about York PA and surrounding area's don't forget to take advantage on the tax credits that are available to you. I know it is cold outside and seems like spring is a long time off but before you know it spring will be here. If you are going to be buying a home this year and it is your first home that you have owner in over 5 years you will eligible for up to $8,000. If you have owned a home in 5 of the last 7 years you may be eligible to get $6500. You must have a contract ratified by April 30th and settle on the home prior to June 30, 2010. Hurry before you lose out on it. Contact us here at Pilgrim Team at Professional Realty Associates for more information.